Between the Erie Lackawanna merger and the later creation of Conrail the former Delaware, Lackawanna & Western lines in upstate New York did not fare well. A few bits and pieces were retained to serve local industries and preserve connections to other lines and the rest abandoned. 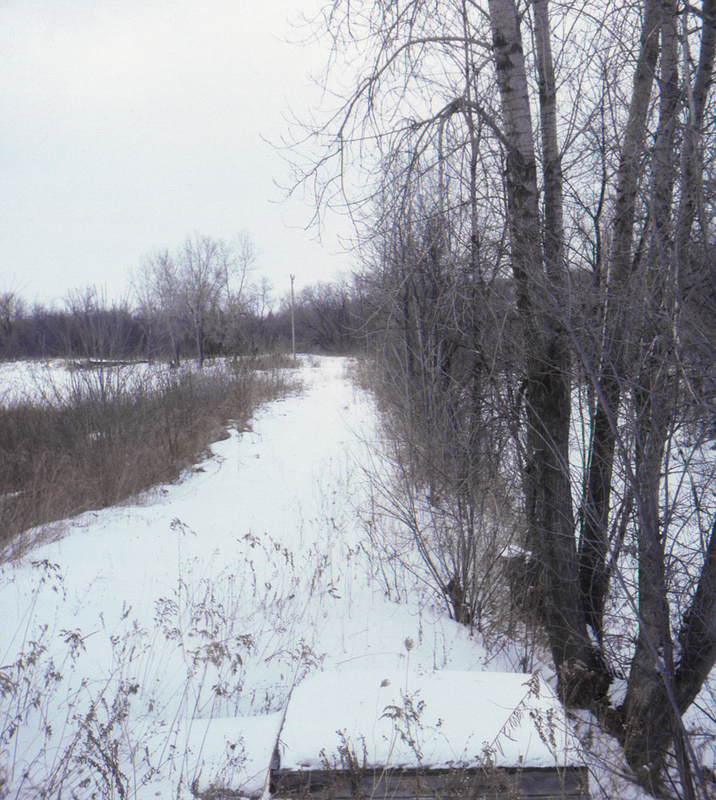 This view of what was once considered a "super-railroad" between Buffalo and New York City was taken near Groveland, New York; the line was retained far enough from Mount Morris to meet the Dansville & Mount Morris and abandoned from there on.